After Google launched their new social networking website – Google+, I heard that lots of people enjoyed it because its spam less and more attractive than Facebook according to others. 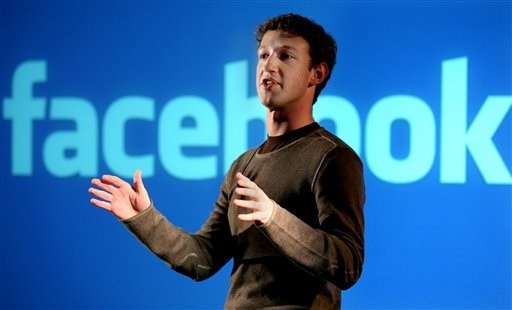 Facebook CEO Mark Zuckerberg won’t let the company down, remember after so many improvements that they’ve done with Facebook, the most attracting feature which they have recently is when they merge with the most popular VoIP and video calling service “Skype“. And now, they announced that the new Facebook update will totally make a major changes on the user interface, they called it “Timeline“, and when you look at it, its like more on visual than the previous version. I updated my FB profile recently to the new Timeline, as you can see, there’s a large picture at the top that they are calling it as your “Cover“. Below your picture are your basic profile information, friends and photos. I noticed that the changes are only on your profile and if you go back to Home, its pretty much the same. 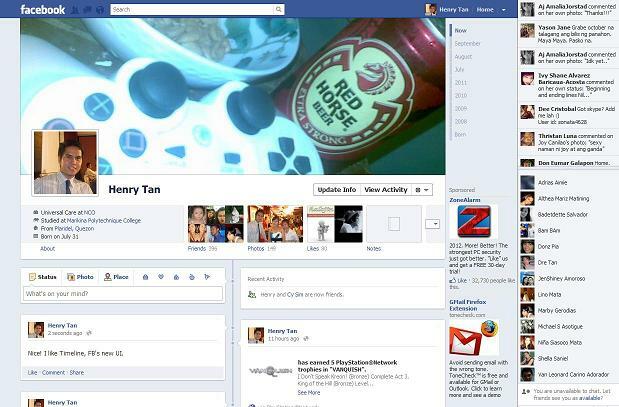 Facebook Timeline is already available to all Facebook members, but its not an auto-update as of the moment. If you’re really excited to see it, check Tech Crunch website for instruction on how to manually enable Facebook Timeline.